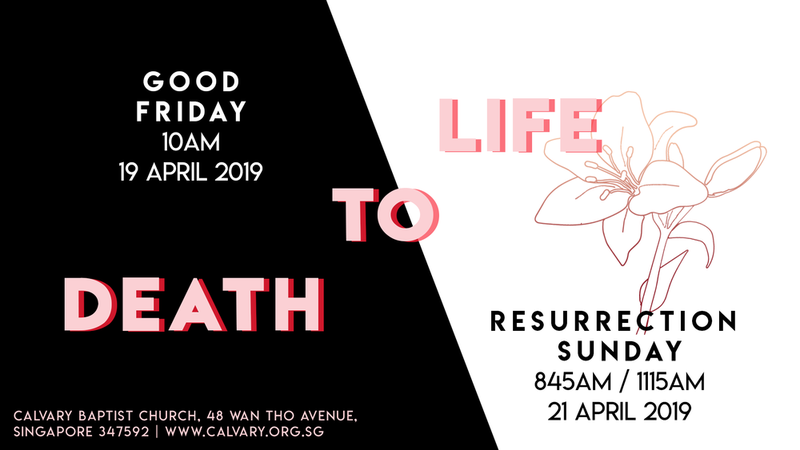 This Easter, join us in a time of singing praises, fellowship and reflection on what it means to be redeemed from death to life. On Good Friday, we examine Jesus's sacrifice on the cross, and the hope we have beyond death. Over Resurrection Sunday, we rejoice in our advent hope as we anticipate Christ's return. All are welcome to join, and guests are warmly invited to the services held in the sanctuary!